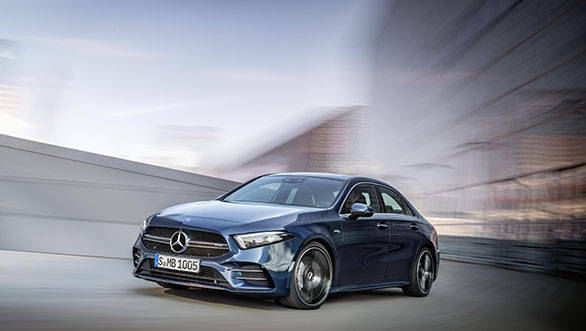 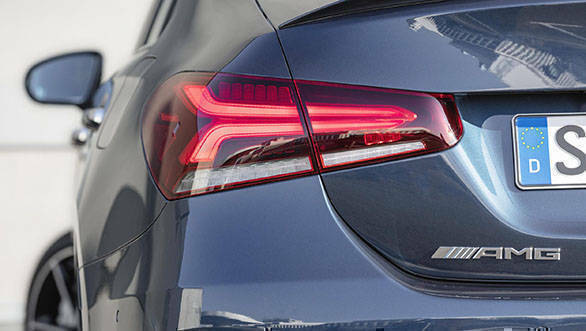 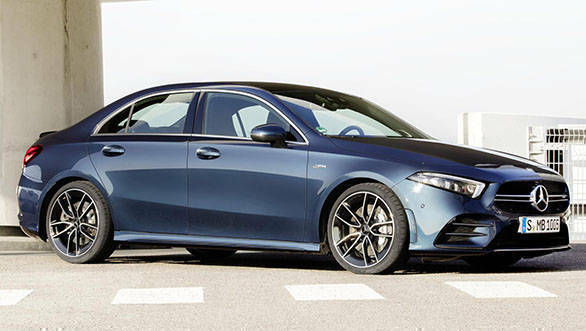 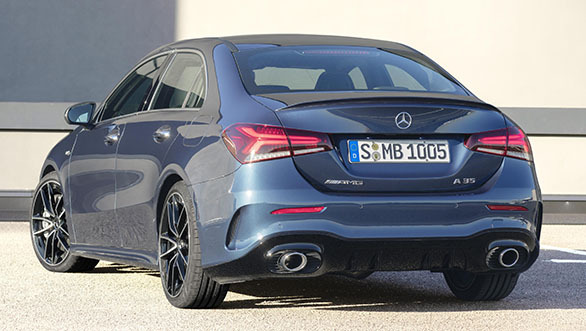 Mercedes-AMG has unveiled the new AMG A 35 compact performance sedan. 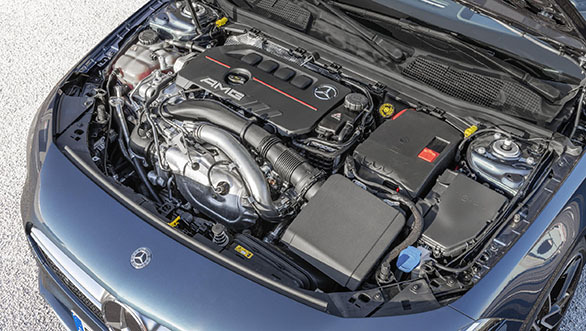 The A 35 sedan makes 306PS of power and 400Nm of peak torque from its 2.0-litre turbocharged four-cylinder engine. 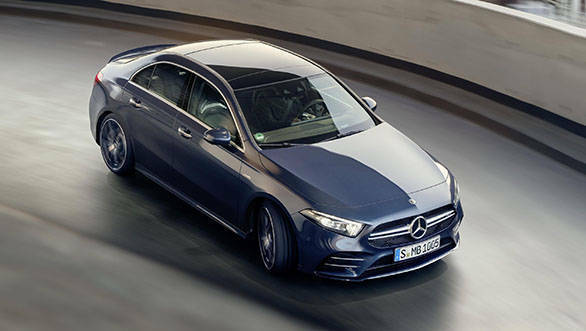 Power is sent to all four wheels via the seven-speed dual-clutch transmission, which makes it do 0-100 kmph in 4.8s and a top speed of 250kmph. 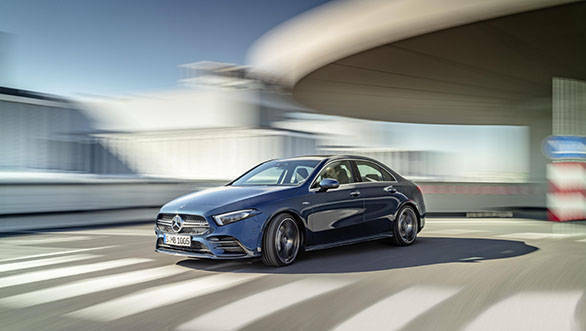 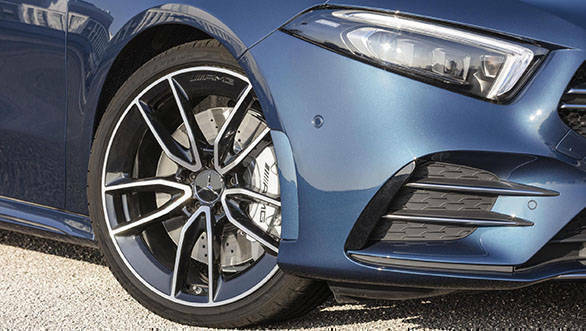 The car is decked up with AMG bits inside out, with the trademark AMG grille, a lip spoiler, 18-inch AMG alloy wheels, AMG sports seats at the front and a flat-bottomed steering seen in other AMG cars. 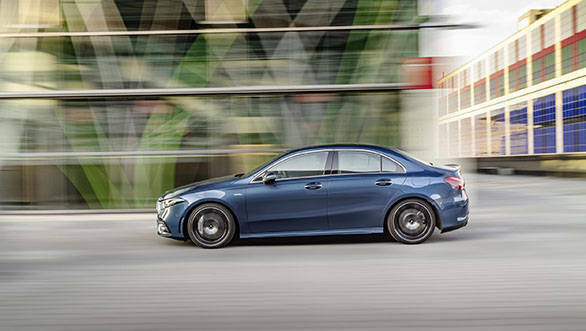 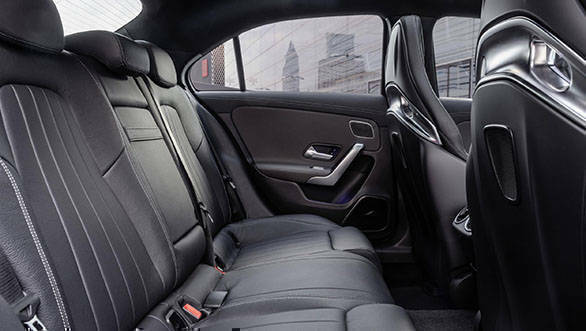 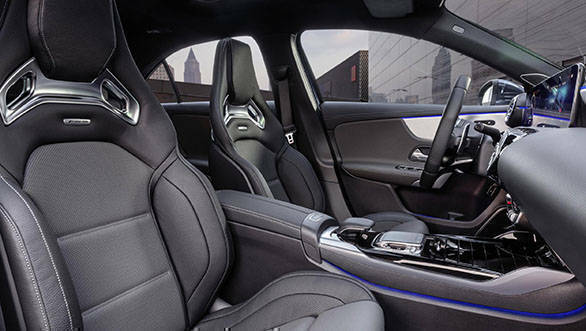 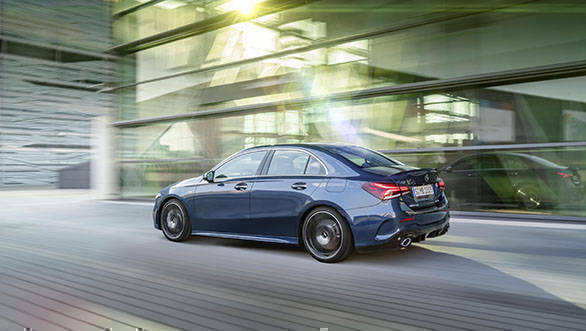 It comes with a host of Mercedes's latest tech like the MBUX multimedia system, with gesture controls and the "Hey Mercedes" voice command system.